All you need is … water. 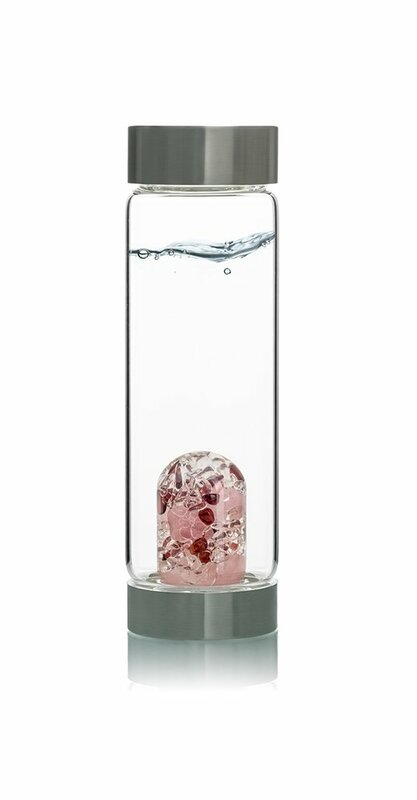 And when you add rose quartz, the quintessential stone of love, tenderness and sensuality, anything is possible. Fair and lovely rose quartz is a talisman for relationships and is used in crystal healing to release emotional wounds and traumas and to bring peace and calm. Fiery Garnet adds a wonderful component of sensuality and passion to this blend. Combined, they create a unique emotional dynamic - LOVE. For those who love water, this is the perfect gift. In order for the heart to beat, it needs water.